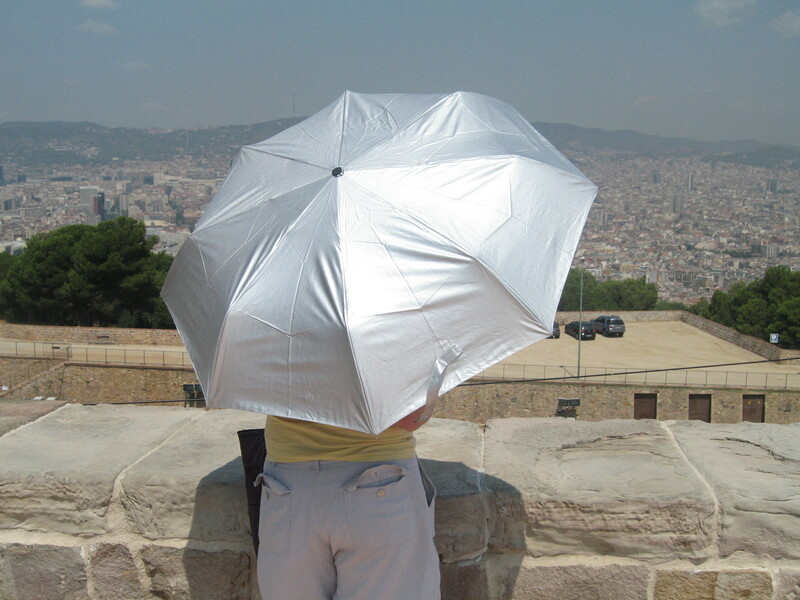 Here’s our Janet with one of our compact UV protective umbrellas, taking no chances as the sun beats down on her and Barcelona. Lucky she took that compact UV umbrella with her! Click here to visit our range of quality UV protecting umbrellas!